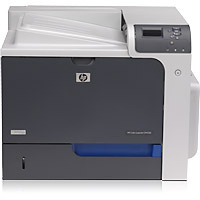 Trust 1ink.com’s HP Color LaserJet CP4525n toner to produce the work quality you need at a price your office can actually afford. These remanufactured toner cartridges work with your compatible laser printer model to deliver a stunning performance in vibrant, lifelike colors. You won’t have to pay original equipment manufacturer (OEM) costs, which can quickly siphon money from your office budget. 1ink.com’s remanufactured HP toner cartridges cost a small fraction of the inflated OEM price, yet you’ll still get the same results and the same performance! Just like the OEM version, our remanufactured black HP 647A toner cartridge prints up to 8,500 pages and our remanufactured HP 648A toner in cyan, magenta, and yellow can print up to 11,000 pages per cartridge! Our remanufactured toner cartridges are guaranteed to work with your HP Color LaserJet CP4525n printer to produce flawless results. Every page you print will look like it was professionally rendered, and our cartridges are guaranteed safe to use with your compatible printer. You’ll get OEM-quality print work that looks presentable for any occasion, all for the lowest price around.